Christina is the founding Director of Christina Perritt Practice, her Cambridge-based therapy practice specialising in Anxiety, Depression, Weight Loss, Phobia, PTSD, Serious Disease, Pain, Addiction, Trauma and Abuse. She offers compassionate understanding of your situation in a completely confidential setting. 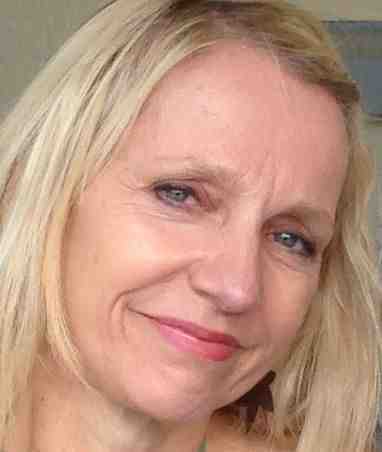 In addition to Havening Techniques, Christina is trained in Hypnotherapy, NLP, EFT, EMDR, Matrix Reimprinting and Reiki and looks forward to helping people to navigate a way towards a freer life where they can be themselves, unfettered by old habits, behaviours or memories, being the best version of themselves that they can be. Work of this nature is richly rewarding. Christina helped me so much to be stronger as a person and to be able to enjoy my life better. She helped me to get rid of painful memories that were holding me back. I was able to be more myself in relationships with woman and to value myself much more than I did before we started. We did a lot of sessions, maybe about twelve or so with some long gaps at times. I was amazed at how much pain was there and how it could be gone. If you have dark secrets it's not too late to share them and to get rid of them. I am so much happier in my life now. I made an appointment with Christina after a humiliating interview experience during which I froze, and lost all confidence. I found her very empathetic, and skilled at multiple techniques that helped me work through my confidence issues. With her help, I was able to dramatically improve my interviews. The sessions also helped me feel more open and less fearful in my daily life, helping me feel generally more comfortable in my own skin. I can't begin to tell you how differently I have been feeling since coming to your session. I have felt really relaxed and well since coming to you even my husband commented on it- so my week has been going brilliantly. I haven't felt the need to eat as much. I feel much more calm and a lot stronger. I haven't felt like this for a long time.